Tata Motors, the Indian automaker, has finally launched the much anticipated Tata Nano GenX in India today i.e. on 20 May, 2015. Tata is aiming to launch brand new series of cars in India this year. The company will launch a compact sedan along with Kite hatchback, 2015 Nano and Safari Storme facelift. Since, the testing of the new 2015 Nano has already begun, we might see its launch in the comming months. While the Kite twins are expected to hit the Indian market in the first half of next year. There isn’t any major changes in the power front, as the new 2015 model of Nano is powered by the same 624cc, MPFI, naturally-aspirated, twin-cylinder petrol engine which proudly powers all other variants of Nano. This old engine unit provides a maximum power output of 37bhp with a torque of 51Nm and is coupled to a new 5-speed AMT (Automated Manual Transmission) semi-automatic transmission, which in turn powers the rear wheels of the car. This transmission is quite simillar to the one provided in Zest which also features the same automated gearbox. since the new Nano misses out on the clutch pedal therefore the AMT transmission definitely makes driving the new Nano more enjoyable and stress-free. Whats more the driver can now even choose to change the gears either sequentially or fully automatically. The 2015 Nano gets subtle changes to both interiors and exteriors. It comes equipped with new bumpers, fog lamps and revised headlamps, and it also features brand new body graphics. The new features includes front power windows, electric power assisted steering, newly designed instrument cluster, etc. The interiors gets better quality plastic, fit & finish also has been improved from the current model. On the inside, the car gets a new instrument console with a brand new steering wheel, which is similar in design to the one found in the Zest and Bolt. The Nano facelift also features an open-able hatch; another feature that surely gives a boost to the practicality quotient of Nano. On the mileage side the new Nano boasts a fuel economy of 21.9 km/l. The new 2015 model has a boot-capacity of 110-litres and the car also features a fuel tank of 24-litres which is 9 liters more than what the earlier model had which is about 15-litres. The new model comes with a price tag of Rs. 40,000 more than the earlier model which sums up to Rs 1.99 lakh. It currently is the cheapest car with automatic transmission in the country. 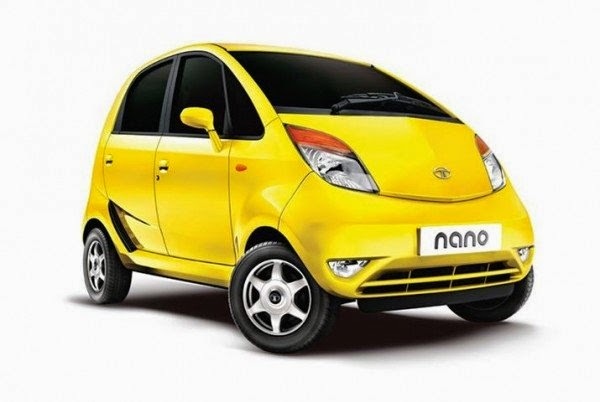 Meanwhile Tata Motors is also working on a secret project codenamed the Pelican which will be another small car from the Tata Family and will be built around the Nano platform.